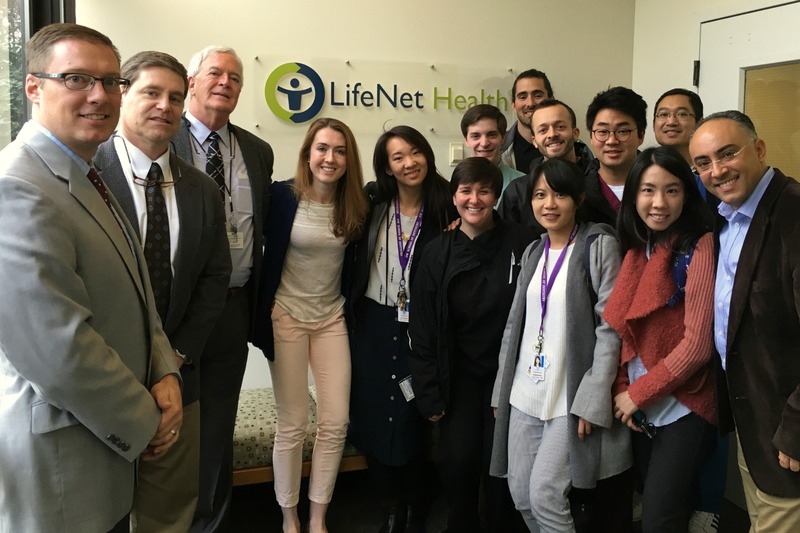 Last week our residents had a chance to get out of the clinic for an afternoon and visit LifeNet Health’s west coast branch. While there they listened to an in-depth educational presentation covering the history of tissue banking, donor issues, and end-user responsibilities and considerations. They also went on an extensive tour of the facility. A big thank you to LifeNet Health for welcoming us! This entry was posted in Courses, Lectures, Residents and tagged Autumn Quarter, field trip, residents on November 2, 2016 by Meghan Guillen. Our application process for the 2017-2018 academic year is in full swing – our deadline for applying is August 1, 2016 but we urge students to apply early. Please see our Prospective Students page for information and application materials, and if you have questions about the process, please do not hesitate to contact our program coordinator, Meghan Guillen. 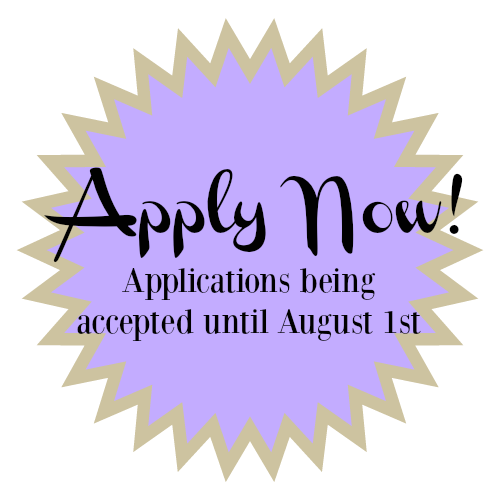 We look forward to seeing your application! This entry was posted in Courses, Residents and tagged application, residents on June 20, 2016 by Meghan Guillen. 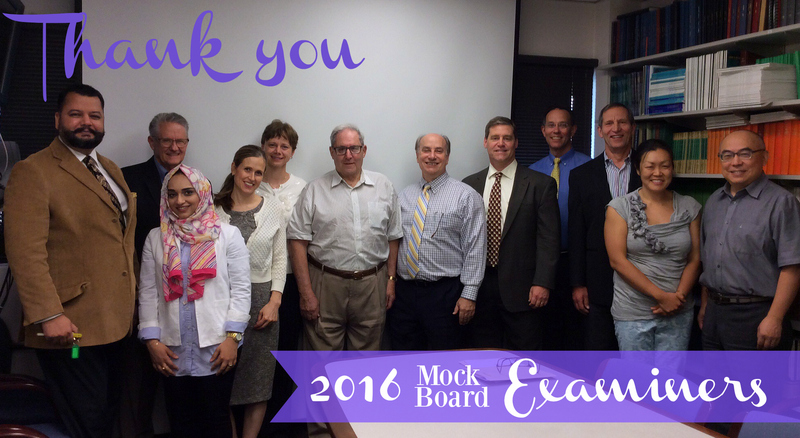 Tremendous thanks to all of our 2016 Mock Board Examiners – we couldn’t do it without them! One of the biggest events in the academic calendar for our Perio residents is the annual mock Board examinations, when our regular faculty, affiliate faculty and special guests join together to spend a day preparing the students for the American Board of Periodontology oral examination. Each third year resident has the opportunity to be examined on 6 different cases with 6 different examiners, while our second year residents are examined and observe cases, and the first years observe only. The examinations are fun but tough, and after a long day everyone (examiners and residents alike) is glad to relax and enjoy happy hour together at a nearby restaurant. This year we had glorious weather – what a finish to another year of Mock Boards! 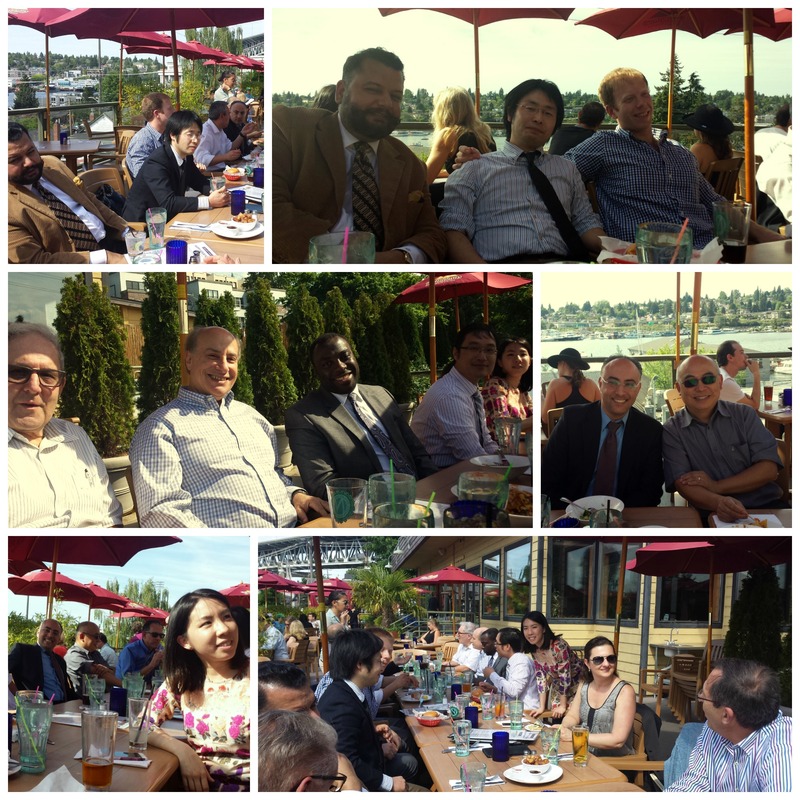 The sun was out and the view from the deck of Eastlake Bar & Grill is hard to beat – so was the company last Friday! 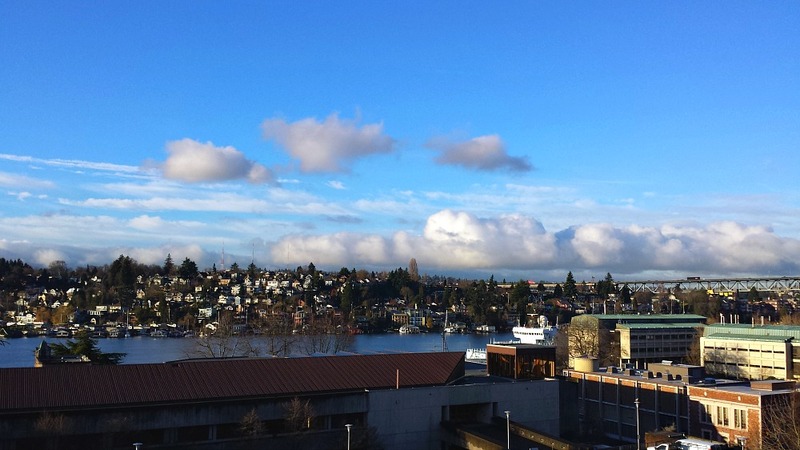 This entry was posted in Alumni, Courses, Faculty, Residents and tagged boards, exams, happy hour, mock boards, party, Seattle on May 19, 2016 by Meghan Guillen. 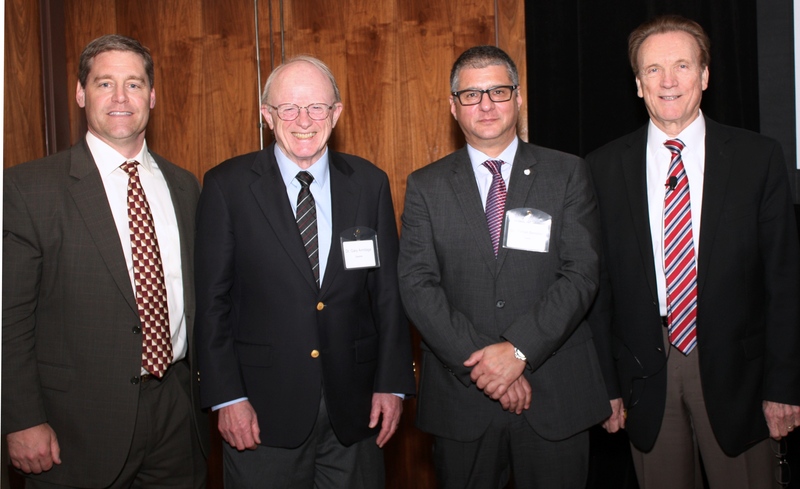 Dr. Ed Truelove was honored as the 2016 WDSF Distinguished Professor at the biennial symposium, which this year had a special focus on “The Current Scope of Clinical Diagnostics and Risk Assessments in Dental Practice and Prospects for Near Term Advancements in Diagnostic Methods Applicable in Routine Patient Care”. Dr. Doug Dixon served on the organizing committee and was a moderator for the afternoon session on Friday May 13th, which featured presentations by Dr. Gary Armitage, Dr. Rafael Benoliel and Dr. Truelove. This entry was posted in Courses, Faculty and tagged CE, Continuing Education, School of Dentistry on May 14, 2016 by Meghan Guillen. 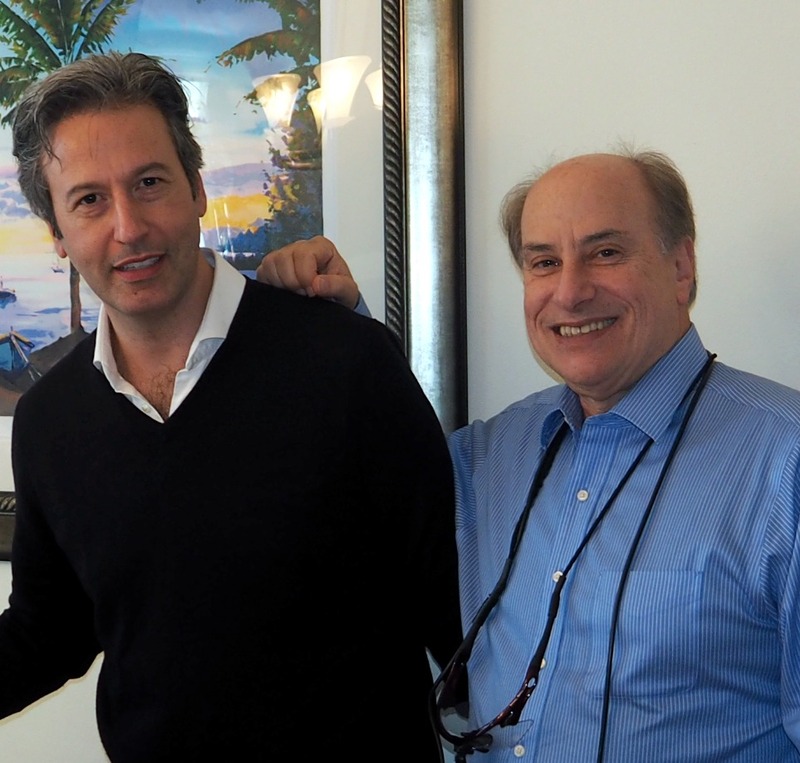 Earlier this Spring Quarter the first year Perio and Prosth residents gathered at the home of Dr. Robert London to take part in his annual short course on implants. 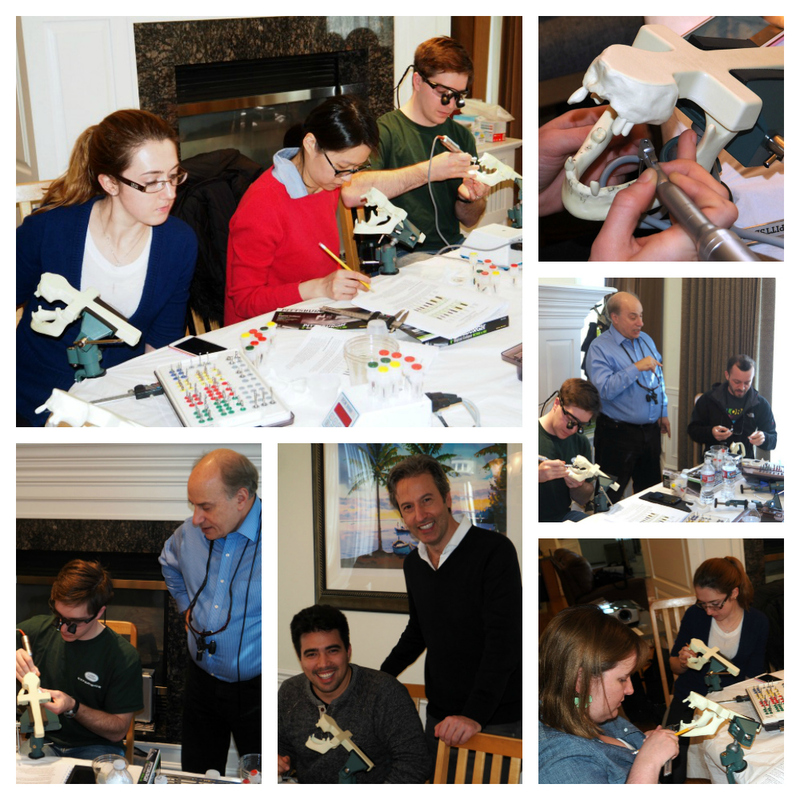 This four day hands on course allows the residents to receive focused intensive training in a relaxed and congenial setting. This year the residents were treated to a lecture and extra instruction from Dr. Simone Verardi (class of ’04) who was visiting Seattle during the course. Thank you to Dr. London for organizing and leading the course and hosting it at his house! Our very special thanks as well to Alisa London for all of her hard work behind the scenes to make the course happen flawlessly. 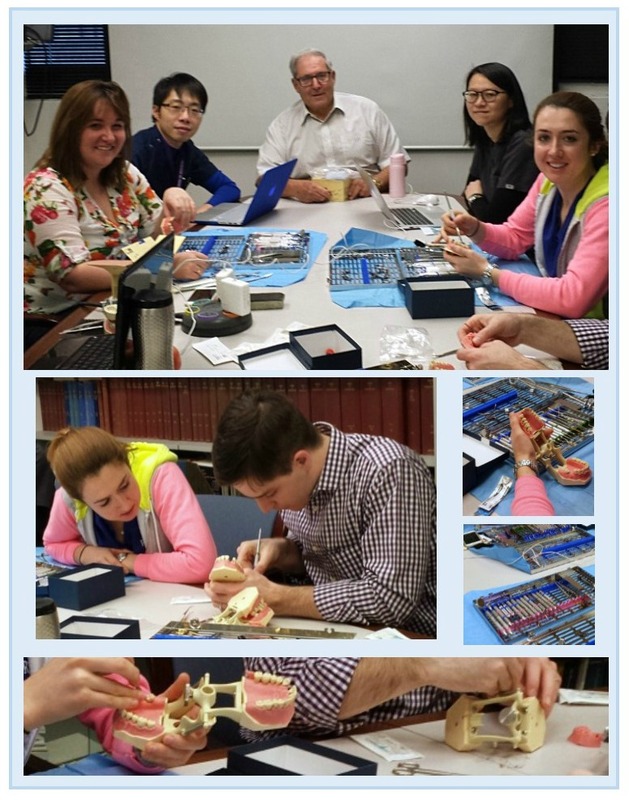 This entry was posted in Courses, Faculty, Lectures, Residents and tagged alumni, appreciation dinner, implants, London Institute, short course on April 15, 2016 by Meghan Guillen. Each year during Winter Quarter the first year Perio and Prosth residents take part in a 5 week mini-course on Osseous Surgery and Flap Management, led by Dr. Herb Selipsky (Affiliate Professor and Class of ’73). There are weekly lectures and an extensive hands-on portion to the course. This is a fun series where the residents get a chance to practice and learn new techniques in a small group setting. 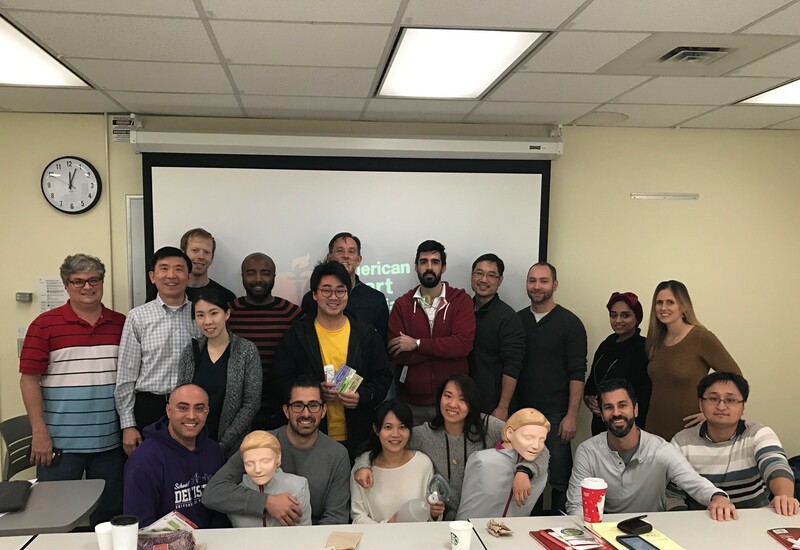 Thank you so much to Dr. Selipsky for his time and dedication in leading this course – it takes a lot of preparation beforehand and the department and the residents really appreciate his contribution! This entry was posted in Courses, Faculty, Lectures, Residents and tagged Osseous Surgery, short course on March 2, 2016 by Meghan Guillen. 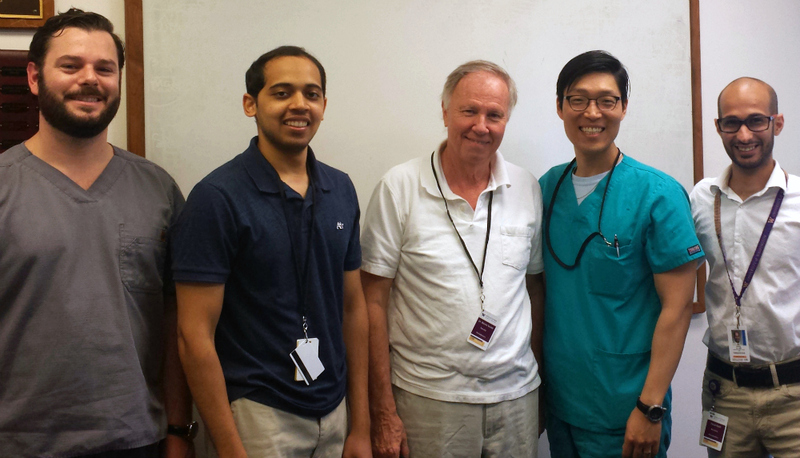 As part of our Selected Topics in Periodontics series the Grad Perio residents were treated to a four part lecture series on dental sedation, taught by Affiliate Assistant Professor Dr. Geoffrey Bean. For the final evening of the series they practiced their techniques on IV training arms loaned to the department by the Institute for Simulation and Interprofessional Studies here at the UW. Special thanks to Dr. Bean for leading the series – we really enjoyed his presentations and insightful instruction! We’re already looking forward to next year and another great course. This entry was posted in Courses, Faculty, Lectures, Residents and tagged sedation on February 12, 2016 by Meghan Guillen. We’ve just finished a successful Autumn Quarter here at the UW and all are off to enjoy the break with family and friends (and take advantage of clinic downtime to work on research and other projects)! It was a great quarter, with our first year residents diving fully into patient care and our second and third year residents working hard on continuing patient care and research projects. They were also treated to a number of guest lectures and lunch and learns, including two stellar lecture series from Dr. David Mathews and Dr. Ken Akimoto (both affiliate faculty members in the department). On the Predoctoral side we made it through the first quarter of the new dental clerkship program with shining marks from the students. We can’t wait to see what Winter Quarter brings, and hope this holiday season brings joy and happiness to you and yours! This entry was posted in Courses, Lectures and tagged Autumn Quarter on December 22, 2015 by Meghan Guillen.